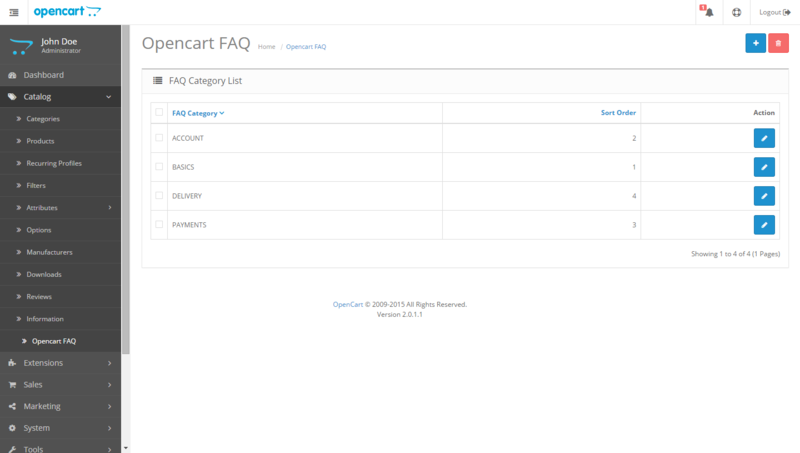 Opencart FAQ helps you create a Frequently Asked Questions pages for your opencart site. This is designed to relieve the requirements of online customer support. 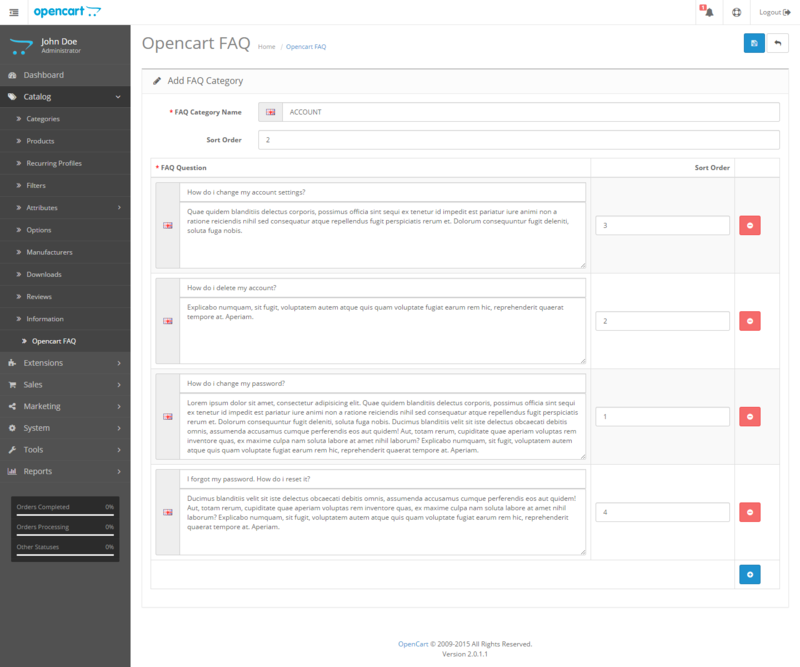 FAQ pages are a simple, and quick, way to share answers to common questions held by visitors and customers. A good FAQ page should always be helpful to both parties. Pure HTML/CSS3 (no images used).